Hunter Hayes is, quite simply, an emerging superstar. Less than two years after the October 2011 release of his self-titled Atlantic Records debut, Hunter Hayes has established himself as one of the music world's most important and successful artists. The fact that he is a true musician with songs that connect places him in a truly elite class. Hunter's accomplishments are as numerous as they are impressive. Hunter Hayes, which he co-produced with Dann Huff, has been certified platinum and has spawned four hit singles, including two chart-toppers, "Somebody's Heartbreak," and "Wanted," which has sold three million copies. It earned him three nominations for 2013 Grammy awards--Best Country Album, Best Country Solo Performance ("Wanted"), and Best New Artist--as well as the Country Music Association’s New Artist of the Year, American Country Awards for New Artist Single and Music Video of the Year (for "Wanted"), and the Teen Choice Awards' Male Country Artist award. He was chosen to take part in some of the biggest tours of recent years, traveling with Taylor Swift's Speak Now World Tour, Rascal Flatts' Thaw Out Tour and Carrie Underwood's Blown Away Tour. His own headlining tour, the CMT on Tour Let’s Be Crazy Tour which kicks off this fall, hosts an impressive theater run of 24 dates including multiples inNashville,MinneapolisandKansas City. He has also written songs recorded by Rascal Flatts and Jewel, among others, wrote "Where We Left Off," heard on the soundtrack of 2012's "Act of Valor," and earned a BMI award for his own "Storm Warning." As if that weren't enough, Hunter is now bringing fans a new, deluxe collection that takes it all a step further. Hunter Hayes (Encore) edition expands that phenomenal debut with eight new or re-recorded songs, including duets with Jason Mraz and Ashley Monroe, as well as his fourth smash single, "I Want Crazy." According to Hunter, the project grew out of the hunger for music evident in everything he does. Like the original, (Encore) showcases a versatile entertainer already at the top of his game. Whether it's a mournful ballad like “Rainy Season” or a passionately upbeat tempo tune such as “Love Makes Me,” the performances are consistently engaging. The airy “If You Told Me To,” the bluesy and aggressive “More Than I Should,” the softly persuasive “What You Gonna Do” and the lightly wry “Everybody's Got Somebody But Me” featuring Jason Mraz showcase yet more aspects of the gifted tunesmith. The project reflects a lifetime of musical experience. TheLouisiananative began picking up various instruments when he was only two years old. At age four, he joined his first band. He took his accordion on stage and sang “Jambalaya” with Hank Williams Jr. that year, too. At age six, he was cast in the Robert Duvall film The Apostle. The actor gave Hayes his first guitar. Hunter recorded his first album when he was nine and his second at the age of 10. “Being an only child absolutely helped,” he says of his extraordinarily youthful development. “I credit a lot to that. It gave me more time to be alone and spend more time with the art. “I was a quiet kid. I was really shy. My safe zone was music. In writing music, I had my friend, the one thing that would never let me down. Writing songs was like me keeping a journal. I really took it seriously when I realized how powerful of a tool it was and how much I needed it. During his high-school years, his parents began taking him on trips toNashville. Gradually, a team of supportive entertainment-industry insiders began to form around Hunter inMusicCity. He found interest from a manager, a song publisher, a record label and a producer during those trips. When he found out about a correspondence course he could take to complete his senior year, the family moved toNashvillein 2008. Since the release of Hunter Hayes, the singer-songwriter has embarked on a blitzkrieg of television appearances. He has performed on The Late Show with David Letterman, Good Morning America, Late Night with Jimmy Fallon, The Talk, E!  News,The Ellen DeGeneres Show and NBC’s Today Show Summer Concert Series. One highlight was his appearance on the ABC-TV special The CMA Music Festival: Country’s Night to Rock, performing “Wanted” surrounded by 50,000 fans. Along the way, he also earned a No. 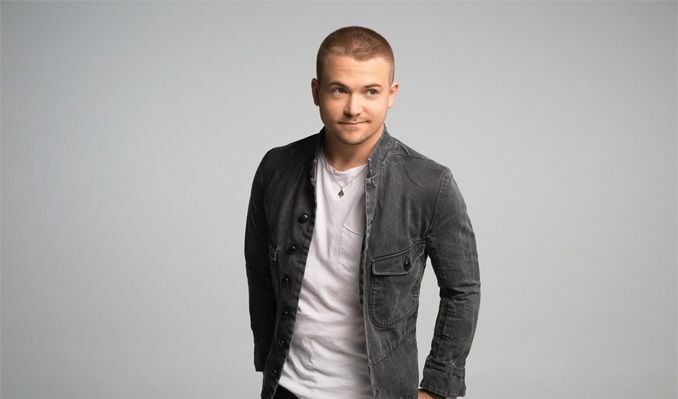 1 video with “Wanted,” and was a nominee at both theAcademyofCountry Music Awardsand the CMT Music Awards, and released Hunter Hayes Live, an EP capturing his style as an on-stage entertainer. “There’s an energy that happens live,” he says. “That’s where I’m most myself. There is nothing as honest as my live performance. That is what I live for every day.